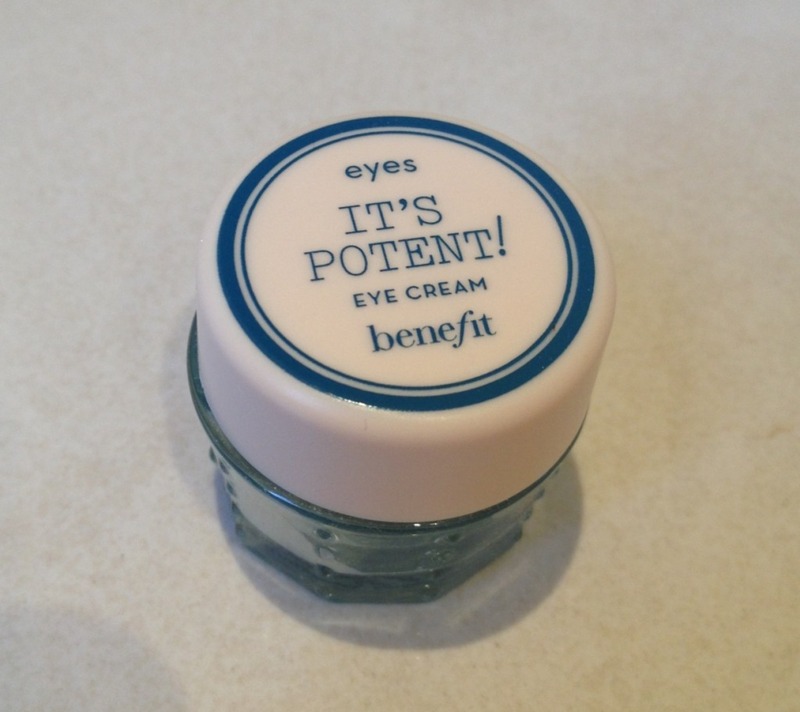 I'm really enjoying Benefit's It's Potent! Eye Cream at the moment! I received it as a sample when I purchased the POREfessional Primer a few weeks ago, so I thought I'd give it a go. I've read a few reviews on this that weren't so favourable, but I really like it so far - even if only I find that if I put it on before applying makeup, it seems to moisturise quite well and concealer seems to go on smoother. However, that's not what it's marketed for so I can understand some of the frustration. This is a cream that claims to help fade dark circles and reduce the appearance of fine lines. It contains apple extract, which is also known to help boost collagen. I'm not sure that I've been using it long enough to really know if it's made any difference to dark circles and lines, but I do enjoy using it every day under my makeup. It smells quite nice and soaks into the skin quickly. I've heard a few reports of this particular cream causing irritation, but my skin is ultra sensitive and I haven't had any issues with it so far. It tingles a little bit when first applied, but that's really it. However, do keep this in mind if you're planning on giving it a try. Update: As I mentioned when I originally uploaded this post, I had not been using this cream for very long. After another week of using it, I have found that my skin has been quite irritated and red directly under my eyes. In a couple of spots, a few sore and red blotches have appeared and the only thing I can attribute it to is the cream. I wanted to share this updated info, because I pride myself on being completely honest and only promoting products I genuinely love and believe in. I am a huge fan of Benefit, and have loved every other product of theirs that I've tried. However, this one I think may be a little bit too potent for my sensitive skin and I won't be using it anymore.